"I can't find a the perfect word to attach to this website's image because it is out of this world. No matter what type of Computer Security System you are interested in, you'll find help and quality content here. The content is awsome, well displayed and well arranged. The menu and speed is excellent. Navigation, Response and Relevance are also the best of the best. I don't even have to mention the Links because i must admit that i have never seen any better. I will let other people say more or invent other words because it really does suit it! Keep doing what you are doing now because you are exactly on the right path! Thanks for sharing! BOOKMARKED!" "Great initiative. Will be very usefull to many PC users at home and in business." My blog is worth $114,037.08. Free PC Security (freepcsecurity.co.uk) is currently undergoing maintenance. Are you ready for the Valentine’s Day spam ecards that are going to flood users accounts with phoney ecards from ‘mysterious’ admirers? Be warned, many of these will contain extremely malicious links. Please Click Image for full article. New article posted on Lavasoft’s AdAware Anniversary Edition, which is an updated version of AdAware2008. 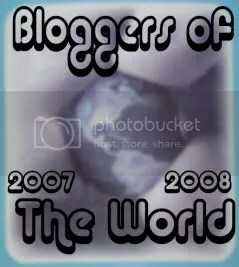 I was very surprised to find that I had been included in a list of seven recipients who received the Scam Buster Award 2008 from WOT.